Foam Glow 5K™ is a fun filled experience exposing runners to Glowing Foam and a ton of Blacklight’s all over the course. Glowing runners come from all different ages, shapes, sizes, and speeds. Whether you are a long term runner or a walk around the park stroller, the 3 miles of the Foam Glow 5K™ course will have you shining bright and waiting for the next run. 1) White shirt (any white T-shirt will work) worn at the start line. The more white you wear the better. 2) Foam Glow 5K™ runners sprinting through Foam Glow™ Zones to the Finnish line! Runner/walkers begin the 5k at the start line like a brand new canvas. By the end, they look like they fell into a tye-dye machine and are covered with different colored foam that glows under black lights. 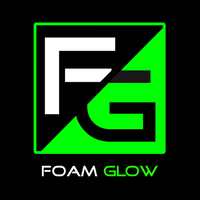 WHAT IS THE FOAM GLOW™? Along the running path you will find Foam Glow™ Zone’s, which are associated with a designated color: orange, pink, or blue. As the runners/walkers reach the Foam Glow™ Zones, They they will run through different color foam that Glows in the Dark under our high intensity black lights. All products are 100% natural and non-toxic. At the end of the race there will be a Foam Glow 5K™ after party filled with Music pumping from the stage, Foam Glow™ and tons of black lights! WHAT ABOUT THE FINISH LINE? Are you ready for the best After Race party in the world? After the finish, participants are encouraged to stick around, celebrate, and see exactly how much fun one person can handle. In most locations we will have food, Foam Glow 5K™, and festivities that will make your Foam Glowed head spin. Don’t forget to get the latest updates on our Facebook page! PACKET PICK-UP DATE AND TIME WILL BE EMAILED BEFORE THE EVENT. *Please bring a photo ID to pick up your race packet. There is a $5.00 fee to pick up your packet on race day. This fee was instituted to encourage people to attend pre-packet pickup so we can minimize lines and wait times on race day. Yes, we do allow people to pick up packets for other people (team member, family, friends). As long as their waiver has been signed online (generally done during registration or downloaded HERE) you will just need to present their confirmation email. That way, we know you have permission to get your friends’ stuff! All items that have been pre-ordered MUST be picked up by start time on race day or at packet pickup. Unfortunately, we do not have the ability to mail items to you after race day any items that have not been claimed will be forfeited and donated. Please make time to go pick up you pre-ordered GLOW Gear. Pick up your pre-ordered GLOW Gear at the packet pickup location or the event. If you are unable to pick up your race packet and/or register on either of the packet pickup dates, you will be able to do so on race day. However there is a same day race check in fee of $5 (Cash Only) per registration. Please arrive early to have ample time to park and line up at the start line. Don’t stress out if you are stuck in traffic. We will leave the start line open for everyone to be able to run the race. There is a $10 fee (cash only) for parking. Please arrive early to avoid traffic. Please note that there is NO bag check. So leave your valuables in the car or take what you want with you! 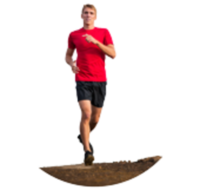 We will be releasing waves of runners every 2-5 minutes at the starting line. Be sure to attach your race bib to the front of your shirt with the safety pins provided. You will NOT be allowed on the course without a race bib. Starts 45 minutes before the race. This is the best pre-party in the country. Music to blow you away and a chance to get a ton of free glow gear given away at the stage! Get ready for an evening of fun, UV foam and memories. DJs to be announced soon! There will be no charge for spectators. An open area for spectator viewing will be available on both sides of the start/finish line. Be sure to carpool! There will be a water station on the course and at the finish line. Please stay after the race for an amazing Foam Glow After Party. The most amazing Foam Glow’s (foam cannon’s around stage shooting glowing foam out into the crowd) will happen every five to ten minutes at the stage area. Please note we do not offer refunds, if you are unable to join us, please transfer your ticket to another athlete or contact service@foamglow.net for more information.